What is the best programming language to develop any software? This question is very hard to answer. Because there are plenty of programming languages these days. Can not pick or rely on single programming language. You need to learn more than one programming language. I am listing some details i.e. my personal thought. If you want to develop a fully features eCommerce then PHP (Magento) is best. If you want to develop a secure & powerful website then ASP.Net, C# & Sql Server is best. If you want to develop an offline desktop software then C# or VB.Net is best. If you want to develop high end games then C++ is best. If you want to develop a software that run on every device then java is best. If you want to develop an android mobile application then android is best. If you want to develop a hybrid mobile application then cordova or ionic is best. So, It depends upon solution not specific programming languages. 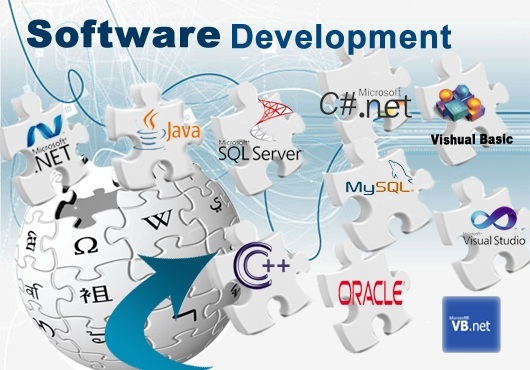 If you believe yourself as software developer then you need to learn more than one programming language. I have learned many programming languages. But Started working in VB6 & MS-Access, then VB.Net & MS Access/SQL Server then C# & SQL Server then ASP.Net, C# & SQL Server then PHP & MySql then Wordpress and now I want to learn android or xamarin also. I even worked in FoxPro.